Neem is a tree in the mahogany family that grows in Pakistan, India and Africa. 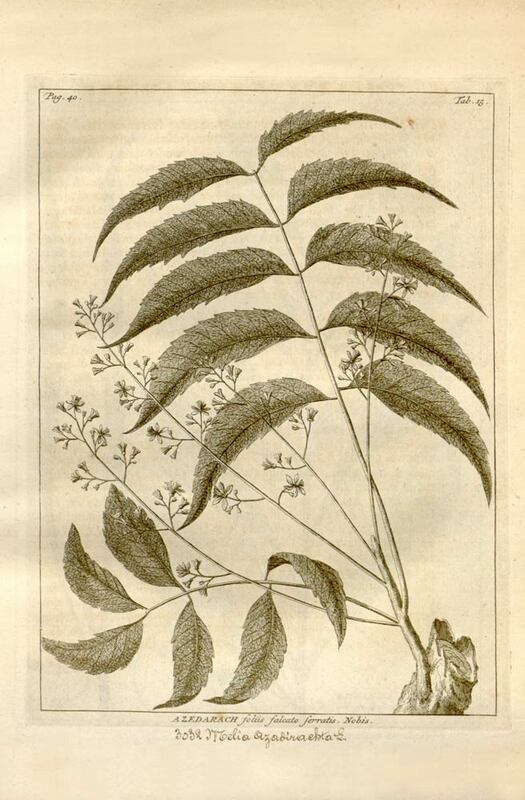 Because the leaf of this tree has a long history of use for various purposes, neem is commonly referred to as heal-all and “the village pharmacy.” In powdered form, neem is used in organic gardening and to make many different kinds of personal care products, including soaps, shampoos, skin lotions and creams. Neem is also an ingredient in herbal tooth powders. Azadirachta indica is a tree in the mahogany family, Meliaceae. Neem is a fast-growing tree that can reach a height of 15–20 meters (49–66 ft), rarely to 35–40 meters (115–130 ft). It is evergreen, but in severe drought it may shed most or nearly all of its leaves. The branches are wide and spreading. The fairly dense crown is round and may reach a diameter of 15–20 meters (49–66 ft) in old, free-standing specimens. The neem tree is very similar in appearance to its relative, the Chinaberry (Melia azedarach). The opposite, pinnate leaves are 20–40 centimeters (7.9–16 in) long, with 20 to 31 medium to dark green leaflets about 3–8 centimeters (1.2–3.1 in) long. The terminal leaflet is often missing. The petioles are short. The white, fragrant flowers grow in more-or-less drooping axillary panicles which are up to 25 cm (9.8 in) long. The inflorescences, which branch up to the third degree, bear from 150 to 250 flowers. An individual flower is 5–6 millimeters (0.20–0.24 in) long and 8–11 millimeters (0.31–0.43 in) wide. Protandrous, bisexual flowers and male flowers exist on the same individual tree. The fruit is a smooth (glabrous) olive-like drupe which varies in shape from elongate oval to nearly round, and when ripe is 1.4–2.8 centimeters (0.55–1.1 in) by 1.0–1.5 centimeters (0.39–0.59 in). The fruit skin (exocarp) is thin and the bitter-sweet pulp (mesocarp) is yellowish-white and very fibrous. The mesocarp is 0.3–0.5 centimeters (0.12–0.20 in) thick. The white, hard inner shell (endocarp) of the fruit encloses one, rarely two or three, elongated seeds (kernels) having a brown seed coat. 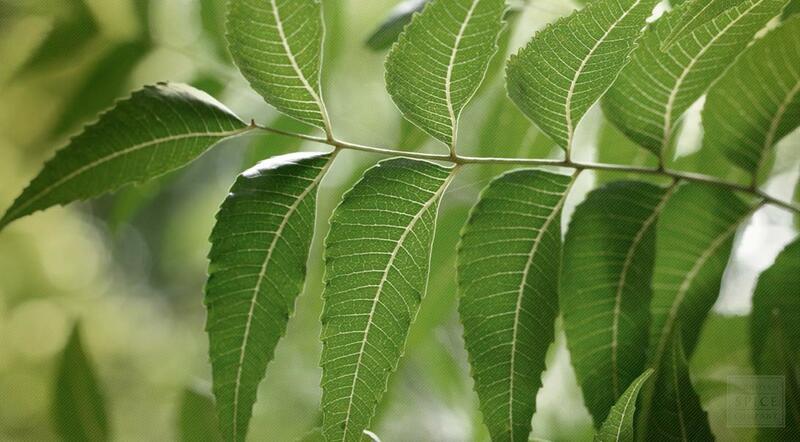 The common name neem is from the Hindi word nim and the Sanskrit word nimba. Azadirachta indica is native to India, Pakistan, and Bangladesh. Neem trees grow in tropical and semi-tropical locations; they thrive in areas with sub-arid to sub-humid conditions. Neem trees grow best on well drained deep and sandy soils. Neem seeds are only viable for about 30 days after they are harvested, and fruit ripens in mid-summer. Sow seeds as soon as they are ripe in a greenhouse or cold frame. Transplant seedlings to pots when they are large enough. Harvest neem leaves throughout the season, if you expect to harvest year-round, be sure your tree is getting ample light for new growth. Leaves may be dried and ground into powder for later use. Store dried neem leaves and powdered dried neem leafin an airtight container in a cool, dry place.